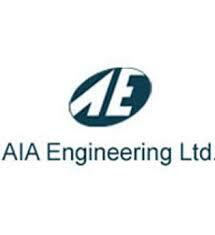 AIA Engineering has registered 27% growth in its consolidated sales for the quarter ended Dec 2018 to Rs 726.44 crore. Higher sales together with 50 bps expansion in operating profit margin (OPM) facilitated 30% growth at operating profit to Rs 165.23 crore. After accounting for lower other income and lower depreciation (as %of OP) the growth at PBT was restricted at 22% to Rs 170.53 even while the interest cost (as %of OP) marginally stand lower. Hit further by higher taxation, the PAT was up by 11% to Rs 129.22 crore. With non controlling interest (NCI) stand lower by 28% to Rs 0.27 crore the net profit before OCI was up by 11% to Rs 128.96 crore. As other comprehensive expense (OCI) jump by 178% to Rs 38.55 crore, the total comprehensive income was down by 12% to Rs 90.41 crore. But for higher taxation and higher other comprehensive expenses the bottom-line would have registered a growth. Production volume for the quarter was higher by 34% to 74619 Mt and that of sales were up by 15% to 59235 MT. Higher sales volumes together with higher unit realisation (up 9% to Rs 118208.29/MT) the operational income (excluding other operating income) for the quarter was higher by 26% to Rs 700.21 crore. Value of production for the quarter was up by 41% to Rs 812.91 crore and sales for the quarter was about 89.45 of value of production. Sale for corresponding previous period was about 99.6% of value of production of that period. Sales for the quarter lower than value of production reflects inventory build up which will get liquidated going forward. Other operating income was up by 66% to Rs 26.23 crore. Other operating income is fully made of export benefits. Thus overall sale was up by 27% to Rs 726.44 crore. The 50 bps expansion in OPM to 22.7% was largely due to rise in material cost. Material cost as proportion to sales (net of stocks) was up by 480 bps to 43.6%. The staff and OE were lower by 110 bps (to 3.8%) and 200 bps (to 32.8%) respectively. Other income was down by 10% to Rs 28.92 crore. Thus the growth at PBIDT was restricted at 22% to Rs 194.16 crore. The interest cost up by 87% to Rs 2.03 crore and as % of OP it was up at 1.2% compared to 0.9% in the corresponding previous period. Depreciation was up by 21% to Rs 21.59 crore but as % of OP it was down at 13.1% compared to 14.1% in corresponding previous period.  Thus the PBT was up by 22% to Rs 170.53 crore. Taxation was up by 76% to Rs 41.31 crore and the tax rate was higher at 24.2% for the quarter compared to 16.8% in corresponding previous period. And thus the growth at PAT moderated and stood at 11% to Rs 129.22 crore. Sales was up by 28% to Rs 2182.28 crore but with 20 bps contraction in OPM, the operating profit was up by 27% (to Rs 468.62 crore). After accounting for higher other income, higher interest (as proportion to OP) and lower depreciation (as proportion to OP) the PBT was up by 31% to Rs 504.15 crore. The taxation was up by 58% to Rs 148.61 crore and thus the PAT was up by 22% to Rs 355.54 crore. Eventually the total comprehensive income was up by 21% to Rs 335.13 crore after accounting for lower NCI (down 27% to Rs 0.52 crore) and higher other comprehensive expenses (up 39% to Rs 19.89 crore). Order book at the start of Jan 1, 2018 was Rs 668 crore. Total capital outlay for Grinding Media, Mill Liners and Wind Turbine will be Rs 800 crore in which Rs 336 crore during F.Y. 2018-19 & remaining during F.Y. 2019-20. Capex incurred till nine months-FY 2019: Rs 156 crore.